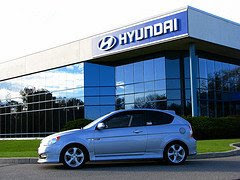 Hyundai Motors was the first company to offer a great warranty program for their cars. It was a smart move to help build brand recognition and get more people to buy their cars. The company is now coming up with another first. Hyundai will be the first company to allow you to return your car if you lose your job (within the first year). I think this is a pretty good move to try and get people to buy a car when car sales are in the crapper. It's called the Hyundai Assurance program and I first heard about on the radio during a commercial. Thinking this is too good to be true, I decided to look into the program a little further. Coverage is available on all new Hyundai vehicles. Available to everyone regardless of age, health or employment history. 12 months complimentary on every new Hyundai loan or lease. Is there a charge after the first year? Coverage available for involuntary unemployment, physical disability, self employed personal bankruptcy, international employment transfer or accidental death. The dealer determines the value of your vehicle. To be eligible, you must be current on your loan and you must have made at least 2 scheduled payments. I suppose for some people, this could work. For the average joe, I still see a lot of people getting screwed out of thousands of dollars and/or having their credit ruined. The first year is the worst for depreciation on a new car. Can you extend the plan past the first year? What is the cost to do so? Does the max negative equity they will pay increase or decrease? It sounds like a good program. Ultimately though, the dealers need to make money so ANY program will be designed to make sure they make a profit. Have you bought a Hyundai because of the Assurance Program? At first, it sounds like they're doing a nice thing, but as you said, the dealers want to make money. They're hoping that people will feel safe about buying a new car during this unstable time and that sales will increase. My personal experience with car dealers is that they're crooks (I have dealt with 3 different dealerships in my lifetime). They will do anything to make money and don't care what they do to the customers. So, I don't believe in this Assurance Program at all. I'm sure most dealers will find a myriad of excuses to make customers pay if/when they take the car back. I hope people don't fall for this, but instead save their money for repairs on their current vehicles. This is a good thing. However, I'm sure the repo guys are happy about it but who cares. It's funny how they talk up this big program but their are all kinds of stipulation involved. The key one being the dealership determines the price of the car. Amazing! Also, does it count as a 'repo', voluntary or not? That would be a huge ding on your credit. I agree put money in your emergency fund and save to buy a good used car! This plan might have its faults, but you've gotta hand it to Hyundai for being one of the most innovative automakers out there. They've done good work to expand in a densely saturated US market.